Here is a cool kit that any techie will love. This Gun Metal plated kit includes a ballpoint pen on one end and a clear disc stylus on the other end. The clear disc stylus is an alternative to a traditional rubber stylus allows you to can see exactly where you are working with supreme accuracy. The disc enables you to take notes, draw and type precisely and comfortably while protecting your screen. 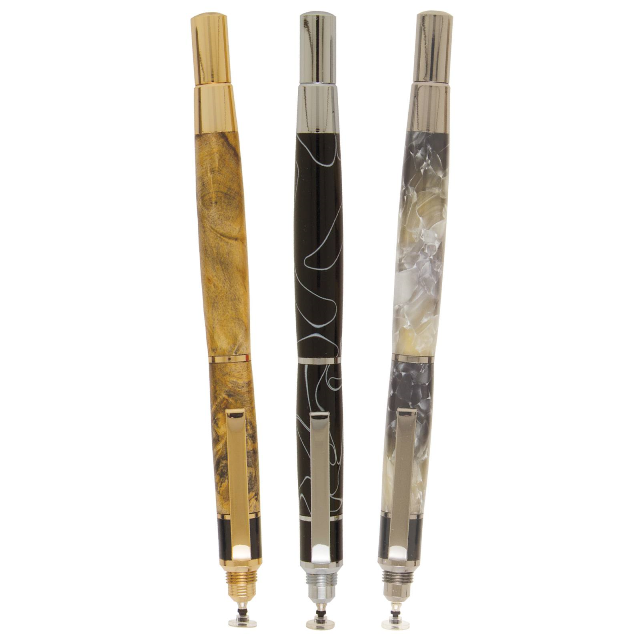 They stylus is compatible with all capacitive touch screen devices. The pen uses a smooth writing Cross style refill. Cap posts on both ends.